Have you enjoyed the Virginia Symphony or visited Thomas Jefferson’s Poplar Forest? Have you ever rushed your child to the Emergency Department in the middle of the night? Have you donated canned goods to your local foodbank at the holidays or volunteered at The Salvation Army? These services, a part of the fabric of what makes every community special, would not be available without philanthropy. 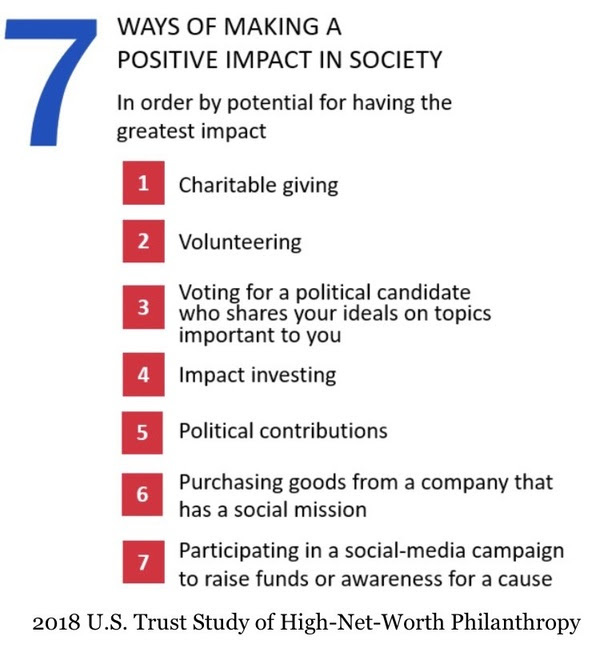 According to the 2018 U.S. Trust Study of High-Net-Worth Philanthropy, charitable giving and volunteering are viewed as the top two ways of making a positive impact on society, ranking higher than voting and political contributions. This month, National Philanthropy Day was celebrated all over the country. This day celebrates the generosity of our country in this “giving” season. Did you know that Americans give away an average of $1 billion each day (Giving USA: The Annual Report on Philanthropy for the Year 2017), and that 1/3 of that happens in the last few months of the year? 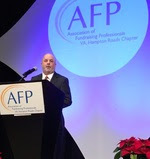 The Curtis Group has had the privilege of attending several Philanthropy Day celebrations throughout Virginia. At each celebration, I reflected on the importance of giving and its impact on our communities. As always, the day’s events are a wonderful chance to honor the efforts of those who have demonstrated their passionate commitment to philanthropy. But, I also see it as an opportunity to raise awareness of the importance of philanthropy and encourage those not already involved to become philanthropists. After all, we can all contribute in a number of ways! So just what makes today’s philanthropists tick? What is their motivation? What keeps them giving? Gives for a love of humanity – Philanthropists give to make a difference! In a recent article in Inside Business written by Curtis Group founder Keith Curtis, he says that it is philanthropists who recognize a need, give their resources and ultimately drive social change. Offers time, talent and treasure: In addition to the over $400 billion that was donated in 2017 (Giving USA: Annual Report on Philanthropy), according to the U.S. Trust Study of High-Net-Worth Philanthropy, 80% of high-net-worth donors also volunteer their time. Increasingly interested in the transparency of nonprofits: The Washington Post published an article following an interview with Bill and Melinda Gates regarding the importance of communication and transparency. Melinda Gates emphasized the importance of communication when she said that “you build trust over time, if you’re knowable, if you’re transparent.” The article found that “there is a growing demand by the public for institutions to be transparent and accountable.” For more on transparency, read our recent blog post. Decisions based on program results: According to 3,200 donors interviewed by Fidelity Charitable for their Future of Philanthropy study, 41% say they have changed their giving due to increased knowledge about nonprofit effectiveness. Involves technology and diverse giving tools: The Giving USA: The Annual Report on Philanthropy also considers trends in the vehicles by which donors give, vehicles such as donor-advised funds and foundations, crowdfunding and online and mobile giving. Last year saw an increased diversification in the tools that donors are using to give. Technology is playing a larger part, and we are finding that donors are more strategic in the ways they are giving. Let’s start the holiday season on a high note. Instead of shopping for that perfect gift, tracking retail sales or stressing about year-end numbers, let’s commit to philanthropy; giving, finding passion and getting to know other philanthropists making a difference in your community.